Everest trek in Spring 2019 ? Here’s what you should know about Lukla Flights! 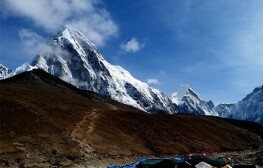 Everest Base Camp Trek makes it to the bucket list of all adventurers. The trail to Everest Base Camp is one of the busiest in Nepal and sees a lot of traffic during trekking season. This Spring, it’s no different and while some have already started their trek, there are hundreds of trekkers waiting eagerly to hit the trail. If you have planned a Spring trek (during April or later) to Everest Region, then you need to know that the flights to Lukla will be rerouted during that time. Beginning 1st April, 2019, flights to Lukla will be operated from Manthali Airport in Ramechhap District. Private airline companies took this decision after a NOTAM (notice to airmen/airline companies) was issued by Tribhuvan International Airport that the airport will be closed from 10 PM and 8 AM for runway maintenance work from 1st April to 30th June. There will be no flights to and from Kathmandu during these hours. The airport authorities were under pressure to improve the condition of the tarmac after frequent cracks appeared on the runway. This was a safety concern as these cracks posed a serious risk threat to aircrafts while taking-off and landing. In the past few years the cracks on the pavement have led to flight delays, especially during the rainy season. Since the past six years, CAAN (Civil Aviation Authority of Nepal) have been compelled to bar aircrafts weighing more than 196 tonnes from landing at TIA to prevent further damage to the airport’s runway. Kalika-Tundi, a Nepali joint venture will be responsible for the runway rehabilitation project. Once the project gets underway, the airport will be shut daily for 10 hours, from 10 PM to 8AM. As most of the flights to Lukla are scheduled early in the morning, this will affect those trekkers who have planned their holiday during this time. During high season, more than 50 flights to Lukla are operated from Tribhuvan International Airport. Now these flights will be operated from Manthali Airport in Ramechhap. Ramechhap District lies about 132 kilometres east of Kathmandu. It takes around four and a half hours drive to reach Manthali Airport from Kathmandu. 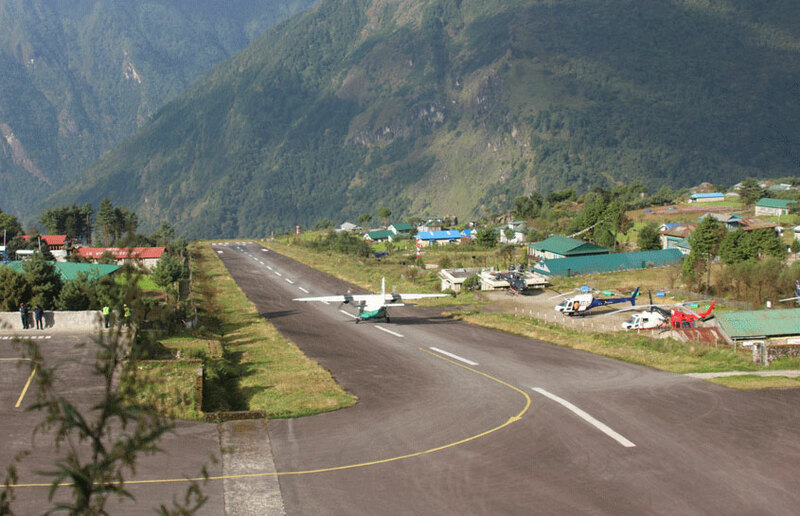 The airport, which sees hardly any traffic, lies in the scenic Tamakoshi Valley. As Ramechhap lies way out of the tourist circuit, the town has only a handful of hotels and guest houses. Most of the local trekking agencies are offering free transportation to those clients who have already booked EBC Trek and other treks to Everest with them. The local agencies are planning to offer tented accommodation to their clients on the event of flight cancellation due to bad weather. It is clear that with no proper infrastructure and service facilities in place the trekking agencies will have a hard time looking after the needs of their clients. Lukla or Tenzing-Hillary Airport is located in the Sherpa settlement of Lukla. The airport, established in the year 1964, is the lifeline of the indigenous Sherpas living in the Everest Region. Though the airport was financed by the Government of Nepal, it was built with the active participation of Sir Edmund Hillary and the Sherpa people. This is the only airport (in operation) that lies close to Mount Everest. Situated at an altitude of 2845m, Lukla Airport is regarded as one of the world’s most dangerous airports. Perched on a precipitous ridge and surrounded by lofty mountains, the airport’s runway is 527m long and 30m wide. Those who have flown to this airport have described the flight as an ‘exciting and thrilling’ experience. If you wish to avoid this hassle, you can choose to trek all the way to Everest Base Camp. Yes, you can opt not to fly to Lukla and walk all the way to Everest Base Camp by taking the classic route through Jiri or Salleri. Before Tenzing Hillary Airport was established in Lukla, trekkers and mountaineers used to trek through Jiri to Everest Base Camp. The trek from Jiri to EBC begins with an 8 hour drive to the trailhead at Bhandar (via Jiri) from Kathmandu, while the trek from Salleri begins with a drive (9 to 10 hours) from Kathmandu to Salleri. If you choose either of these routes, you will have to spend a couple of more days on the trail. Taking these classic routes will offer you a new experience. The views are splendid as the trail weaves past lush forests and traditional Rai and Sherpa villages. In case you have booked an Everest Helicopter Tour, you need not worry as the helicopter flights will be operated from TIA in Kathmandu. You won’t have to drive all the way to Manthali Airport. The flights will take off and finally land at TIA in Kathmandu. How can Third Rock Adventures help you? If you have already booked your trek to Everest region (Everest Base Camp trek, Everest Base Camp Gokyo –Chola Pass, Everest Base Camp Heli Trek etc.) with Third Rock Adventures, the company will arrange the transportation to and from Manthalai Airport. Since Lukla flights are scheduled early in the morning, we will have an early start, at least five or six hours before the scheduled departure. In the event of flight cancellation due to bad weather, accommodation will also be arranged. As there are only a handful of guesthouses in Ramechhap, it is highly probable that rooms may not be available for all. If we are unable to book a hotel room for you, you will be put up in a tented camp. If you want to take the trail from Jiri or Salleri to EBC, we can organize your trek. 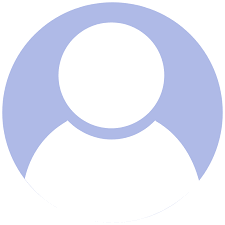 You just have get in touch with us (send us an email or call us up). Our Travel Consultant will plan the perfect itinerary for you. Which currency should we bring with us to Nepal? Is Euros widely accepted or should we bring Nepalese Rupee instead? Hotels and restaurants accept USD, Euros etc. You don’t have to bring Nepalese currency. There are many ATMs in Kathmandu and all the major towns and cities in Nepal. Most of the ATM machines accept international cards like MasterCard and Visa. You can use your debit or credit card to withdraw cash. Do note that while using ATM machines you will be receiving cash in Nepalese currency only. There are also currency exchange outlets in Kathmandu and Pokhara where you can exchange your money for Nepalese currency. Will you be providing us with sleeping bags? Is the sleeping bag you provide us appropriate for the very cold temperatures up in the mountain? No, we do not provide sleeping bags. If you require a sleeping bag you can hire one. The ones that we rent out are 4 season, high quality down sleeping bags, guaranteed to keep you warm in temperatures below -5 to -10 degrees. Do we need to bring our own bath towels with us since we will be taking showers during the trek? Yes, you should carry your own towels as the teahouses along the trail don’t provide towels or toiletries. We recommend you to carry shampoo in small sachets, soap, toothpaste and a roll of toilet paper. If you are a female trekker do carry a packet or two of sanitary napkins for emergency. How do you handle acute mountain sickness? Do you have a protocol you follow? We use experienced mountain guides in all our treks. Having guided several groups over the mountains in Nepal, our guides are experts at handling any kind of emergency. To make sure that you don’t suffer from acute mountain sickness, they will take you up the mountains slowly. When he tells you that you have to take it slow, do listen to him as this is for your own benefit. Occasionally he will be checking up on you making sure that you are physically fine. If you feel a little woozy or nauseous he may give you Diamox (a medicine used to prevent and reduce the symptoms of altitude sickness). If you still feel unwell even after taking this medicine, your guide will move you to a lower altitude and let you rest till you feel better and ready to rejoin your group. But if the symptoms persist you may have to quit trekking. Evacuation via helicopter may be necessary to get emergency medical assistance in Kathmandu. For this, we urge you to have a travel insurance that covers high altitude emergency rescue and evacuation via air. How much of a deposit would be required to reserve our places? To reserve a place, you need to deposit 20% of the total trip price. Is there cell phone service during the trek? Yes, there’s excellent cell phone coverage at most of the places along the trail. 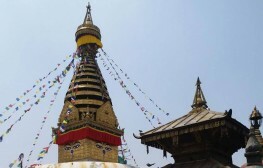 You need to buy a local sim card in Kathmandu to get connected. You can also purchase an internet data pack if you want to use internet on your phone while trekking. 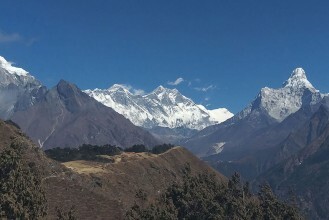 "Sagarmatha" also known as Mt. Everest is the world highest peak with altitude of 8848m. Everest base Camp trek is a life time experience trekking in Himalayan country exploring the culture of Sherpa land.This is one of the famous trekking destination chosen by most of the people in world. 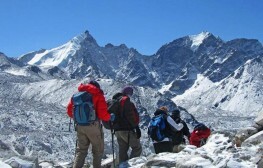 Everest Base Camp Trek is an adventure trekking package that most of the trekkers choose. Though there are numerous trekking trails in Everest region only the Everest Base camp is considered as the feasible and easy in grade in comparison to others.